"Of the Sky, From the Sky, For the Sky"
In the central region of Abalathia's Spine, that great mountain range that spans Aldenard from east to west, can be found the forbidding highlands of Coerthas and the Holy See of Ishgard. The archbishop of the church, while leading his people in the teachings of Halone, the Fury, rules also as the nation's sovereign. Ishgard's formidable army of knights has long been embroiled in a conflict with the dragons of Dravania known as the Dragonsong War. Faced with ever more aggressive attacks from its serpentine foes, as well as an unprecedented spell of bitter cold, the theocracy's days are dark indeed. A land that after a thousand years of war had forgotten what it was to be at peace. The Holy See's standard is an escutcheon divided into four quarters, each bearing the sigils of the four High Houses of Ishgard: House Haillenarte on the upper left, House Durendaire on the upper right, House Dzemael on the lower left, and House Fortemps on the lower right. Atop the escutcheon rests a winged crown, representing the archbishop. For one thousand years, Ishgard was ruled as a theocracy under the leadership of the archbishop and the high-ranking clergymen of the Ishgardian Orthodox Church. However, oncce revelations regarding the core tenants of the church's teachings came to light in the wake of Archbishop Thordan VII's death, the interim leadership moved to enact far-reaching reforms. During the period of peace following the death of Nidhogg, the government was transformed into a bicameral republic, wherein policy would henceforth be decided by a House of Lords and a House of Commons. Clergymen and women of the Holy See of Ishgard regulate the teachings of the Ishgardian Orthodox Church. The newly formed republic envisions a more strict separation of church and state. The fervent worship of Halone, mover of glaciers and goddess of war, and the teachings of the Enchiridion, the holy scripture of the church, are at the core of Ishgardian society. Although members of the Ishgardian church will readily acknowledge the existence of the other eleven deities of the pantheon, they firmly believe that the power of all other gods is eclipsed by might of the Fury. 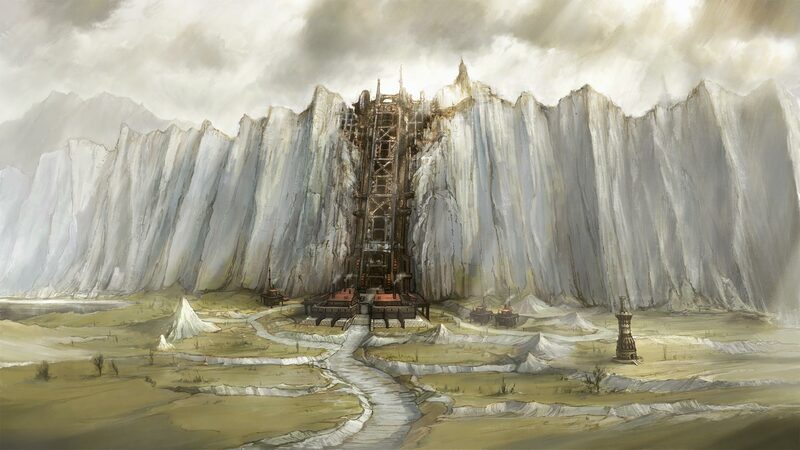 Ishgardian architecture has been deeply influenced by a millennium of war with the Dravanians, and the need for stone fortifications capable of withstanding the eneny's attacks. Moreover, the church has a long tradition of funding religious works of art, which accounts for the massive sculptures that can be found throught the capital and beyond. Smelting techniques developed over centuries to produce superior weaponry for the war effort have yielded such famed alloys as the aptly named Ishgardian steel, which is slow to rust and resistant to the elements. These techniques, however, are fiercely guarded by the industry's smiths and manufactories, which labor at the behest of the Holy See. 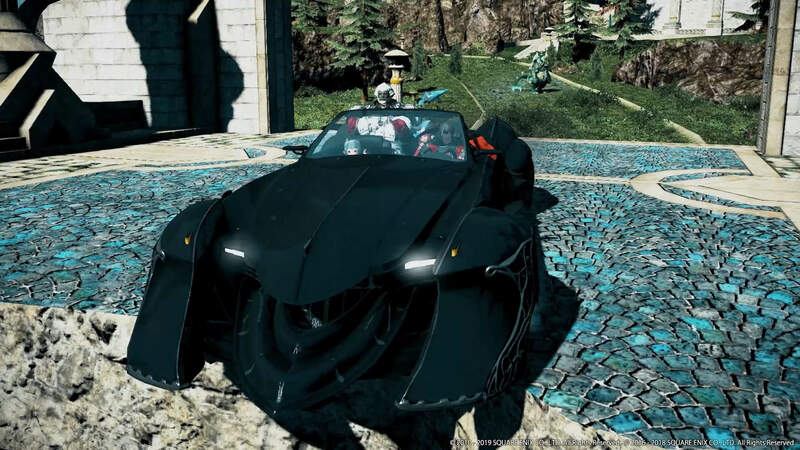 Contrary to the perception that theirs is a conservative country which does not aggressively pursue scientific advancement, Ishgard has conducted research and development into the military applications of magitek technologies. Furthermore, they have worked closely with the Garlond Ironworks to improve upon their existing airship designs. The lush pastures of the Coerthas highlands were once ideal for black sheep and chocobo husbandry, the latter giving rise to a prosperous industry for which Ishgard would be renowned throughout the realm. Alas, the climate change brought about by the Calamity decimated herds and left ranchers destitute. While the highborn have enjoyed hunting as recreation for generations, in recent times many Ishgardians have turned to such activities to earn a living, as the colder temperatures brought about by the Calamity have seen an increase in the demand for furs, as well as wild chocobos. Ishgardians value honor and tradition above all else, and the Dragonsong War is understandably at the forefront of each and every one of their minds. House lineages are carefully documented, and those who can trace theirs back to the founding fathers of Ishgard enjoy elevated status. This preoccupation has, over generations, resulted in a stratified society in which the highborn and lowborn have developed markedly different values and customs. In the years following the Calamity and the coming of the snows, the popularity of warm soups and stews among Ishgardians has burgeoned. To the delight of dairy farmers, many cooks have also begun to incorporate melted cheeses into their cuisine, producing gratins which have become beloved dishes for nobles and commoners alike. Of course, not all notable foods are recent inventions; Ishgardian sweets and confectionaries associated with religious ceremonies have long been known outside the Holy See. According to scripture, the story of Ishgard's founding begins one thousand years ago when the goddess Halone blessed King Thordan with a vision of a paradise for the Elezen. The king declared he would lead his people to this promised land which lay at the heart of Abalathia's Spine and so, having packed their few possessions into humble wains, they abandoned the Black Shroud for the highlands of Coerthas. Once the great caravan reached the valley, however, the dread wyrm Nidhogg suddenly appeared and attacked the Elezen with unbridled ferocity. King Thordan and his knights twelve, of whom his own son Haldrath was one, ventured forth to meet the wyrm in combat. In the bloody battle which ensued, the king was cast into a ravine by Nidhogg and killed, and the greater part of his knights were slain. In the end, the remaining four and his son Haldrath triumphed over Nidhogg, prying out one of his eyes and forcing the dragon's retreat. By this terrible sacrifice were Thordan's people afforded a peace during which they could build their grand city at last. However, Haldrath would not accept his father's crown, and instead donned the helm of the Azure Dragoon, vowing to hunt down any dragon who dared threaten his people. The king's throne would lie empty, leaving the four remaining knights to found the High Houses and the Ishgardian Orthodox Church which would rule over Ishgard and guide the people for centuries to come. For one thousand years Ishgardians fought and died, believing with absolute certainty that the founding of their nation was as stated in the scripture. Yet this belief would be shattered when the Warrior of Light annd his comrades uncovered the true origins of the war, the revelations shaking the faith of the people to its very core. In troth, it was roughly in the year 350 of the Sixth Astral Era, twelve-hundred years ago, that the Elezen first came to Coerthas. As this coincides with the Great Hyuran Migration into the northern continent of Ilsabard, some historians have speculated that Hyur aggression forced the Elezen to seek sanctuary in Coerthas, which was relatively uninhabited at the time. The neighboring lands of Dravania had been home to the great wyrms and their broods long before the Elezens' arrival. However, despite frequent confrontations with their new neighbors, the Elezen chose to remain, building a village which would serve as a progenitor to Ishgard. Yet, perhaps the more significant revelation concerned the deeds of one woman, ten years later, which would change the course of history. Shiva was but an Elezen maiden when she fell in love with Hraesvelgr of the First Brood and was therefore branded an apostate in holy scripture. As the tale goes, she was enchanted by the dragon's sagacity and wisdom—the wyrm by her compassion and conviction. Yet Hraesvelgr despaired at the great disparity which would deny them happiness everlasting, for to a dragon which might pass tens of thousands of years without a thought, the life of an Elezen human which might span a century at best was but a fleeting moment. Seeing this, Shiva sought to end her lover's sorrow by imploring him to devour her that the maiden's aether and soul might be entwined with his ever after. In the end, with a heavy heart, Hraesvelgr did as she bade. Their tragic lovve became a symbol which moved man and dragon alike to set aside their differences and come together to build a society such as Shiva would have wanted. The ancient ornate structures found throughout Dravania and the Churning Mists are remnants of that time when man and dragon lived in harmony. The harmonious epoch brought about by Saint Shiva's sacrifice came to an end two centuries later when King Thordan I, who coveted the power that resided in the eyes of the great wyrms, gave in to temptation and resolved to seize it for himself. He and his knights twelve conspired to hunt and slay Ratatoskr of the First Brood, and after partaking of her eyes, were said to have obtained powers far beyond that of mortal men. Their crimes, though, would not go unpunished. Upon learning of Thordan's betrayal, Ratatoskt's brood-brother Nidhogg was driven mad with rage and attempted to slay the king and his knights in retribution. The battle raged for seven days and seven nights, during which the king and half of his knights were slain. In the end, the surviving knights, led by King Thordan's son, Haldrath, were victorious, claiming both of the dread wyrm's eyes as prizes. The blinded Nidhogg was forced to retreat, yet it would not be the last the knights would see of him and his brood, for it was Nidhogg who would later rally the Dravanians to make war on the Elezen once more. After the battlle, Haldrath relinquished his claim to the throne, and resolved to live out the rest of his days as the Azure Dragoon: a hunter of dragons. Still others renounced their claims, ashamed of their deeds, leaving but four knights. These founding fathers then chose to join hands with the clergy to establish a new government to rule Ishgard—and to craft a compelling narrative with which they would convince the people to fight in a war against the Dravanians. After receiving an eye from Hraesvelgr, Nidhogg was empowered to begin a bloody campaign of vengeance against Ishgard that would span more than a thousand years. That being said, it would not be accurate to state that the violence continued without interruption, as there were long periods during which the great wyrm was compelled to rest and recuperate. Even so, the destruction wrought by Nidhogg each time he awoke was so terrible that Ishgard dared not recognize any such respite; only a constant vigilance would ensure that the military was prepared to face the dread wyrm's wrath. To that end, the High Houses worked closely with the church to encourage the lowborn to take up arms against the Dravanians in what was increasingly framed as a holy war for the nation's survival. Yet all this would come to an end when the Warrior of Light uncovered the true origins of the Dragonsong War, and later slew the dread wyrm Nidhogg on the Steps of Faith. In the wake of the war's end, Ser Aymeric de Borel and his allies successfully enacted a series of governmental reforms which would pave the way towards the formation of a new republic. Having borne witness to these deeds, Hraesvelgr and his brood recognized the Ishgardians' sincere desire for peace, and agreed to reestablish relations with their former enemies—though generations would live and die bedore the divide between their peoples could truly be bridged. The Guardian Deity of Ishgard is Halone the Fury.